Professor Angela Kydd has joined Robert Gordon University (RGU) as Clinical Professor in Nursing. The joint role – between the School of Nursing and Midwifery and NHS Grampian – will see her support academics and clinical staff in their research endeavours. She will also work closely with Kay Cooper from RGU’s School of Health Sciences, as the two provide greater links for staff between RGU and NHS Grampian. The role is jointly funded by both organisations. Professor Kydd trained as a Registered General Nurse in 1976 and then as a Registered Mental Health Nurse in 1980. After undertaking a Masters Degree in Gerontology and a Post-Graduate Certificate in Nurse Education, she began her academic career as a lecturer in Gerontology at the University of West Scotland in 1995. Over the next 21 years, she designed and delivered degree modules in gerontology, led a Nurse Specialist in Gerontological Nursing programme, and acted as programme lead for an MSc in Later Life, running her own Masters module on frailty. During this period she completed her PhD in Nursing, focusing on the lived experience of older people classed as ‘delayed discharges’. She has been actively involved in Erasmus Intensive Programmes since 1998, and is a keen supporter of international student exchanges. Professor Kydd also went on to teach in Slovenia, Sweden, Portugal, Finland and Switzerland, and has worked with the World Health Organisation in a consultancy capacity for a nurse specialist programme in gerontological nursing, as well as a training manual on using Cascade Plus Training for vaccine implementers. She is an active member of COST action on ageism, and is partner to a Horizon 2020 project which will bring two global PhD students to the School of Nursing and Midwifery at RGU. 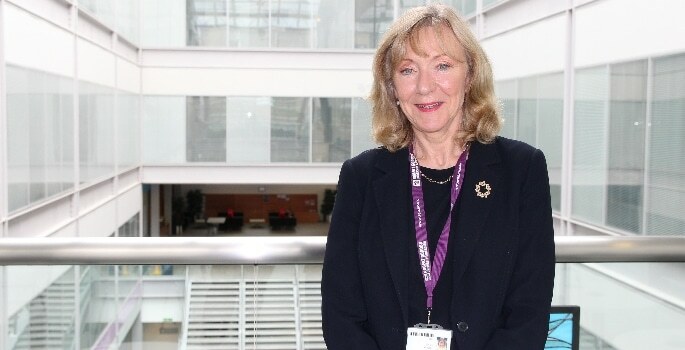 Speaking about her new appointment, Professor Kydd said: “I am looking forward to working closely with my new colleagues at both RGU and NHS Grampian as part of this exciting opportunity.